Ever since the collectable minifigures came out, lego has introduced a variety of historical minifigures like a roman soldier, centurion and emperor, samurai, Viking, Musketeer, Spartan exc. some of which have been very popular among a lot of people in the lego community. So I'm just wondering and I would like to hear your opinions. Should lego make themes based off of events in history? Events or era specific themed sets? I would like to have Roman and Ancient Greek themed sets, but nothing in terms of events in history. +1 for Ancient Roman (colosseum, circus maximus, legions, forts, etc). Also Greek, if we include myths. I'd love some sets based on Romans/Greeks/Egyptians, especially of they included mythology, which is almost guaranteed if they were to do some themes based on them. I know the Pharaoh's Quest did Egyptian architecture but I'd like some scenes actually set in ancient Egypt, not the pseudo-Victorian explorer type characters getting attacked by mummies. A theme based off of some of the classic stories of the ancients would be great, I'm thinking The Odyssey/Iliad etc. I would have bet on a Classical theme appearing following the release of the Spartan and roman Soldier CMFs. Hopefully the possibility still remains! I dont fully understand the question as the figs mentioned in the opening comment are thematic rather than events and at that level LEGO already do/have done historical themes - pirates, castles, vikings etc. Ok, I guess it could be argued they're not done particularly realistically - but thats probably an issue of scale. That said I too would go nuts for a decent roman theme, although would probably prefer the mythology nonsense to be left behind, although suspect it might be what makes such a theme possible. To be honest I hate to think what LEGO would have to do to make such a theme have mass appeal - a chima-fied roman theme brings me out in a cold sweat. Why does a World War set have to include Hitler? It's a bit small minded really to mention Hitler based on my original comment. ^ No the mythology and the chima-fied were two separate things - personally I would prefer a realistic historical theme without mythology to maximise the 'real' elements of roman society that I find so interesting but could live with the odd minotaur being thrown in - the biggest danger then would be if they did a 300BC version of monster fighters. eek. I think theres also an issue that roman building worth doing, and doing in a way that makes them playable are just too damn big (a problem with much of the LMIR stuff on ideas). As an aside - and as a guess i think most boys are interested in roman/egyptian stuff, from my remembering (and my kids now) its all the other stuff like 18th Century European history that bores them to tears. back on topic, my bigger concern is that if LEGO did do a roman theme they would find someway to right royally screw it up by adding a faction of talking animals who drive multicoloured jet powered sapceships powered by poo or something. Theives in the market - small market stall, a guard/soldier, a market seller and a couple of thief figs. Gorgon Mountain - equivelant to dragon mountain of the recent sets gorgon fig already possible, potentially a horse modified to Pegasus. The only set I can't think of off the top of my head is a kings castle type set. The obvious thing is a temple but using the word temple in the name might go against TLGs avoid religion tendencies. I think its safe to say if they made it as much like Chima as above I don't think anyone would consider it a history theme. It would work perfectly as a 80s/90s style castle theme. I think a roman fort could be done just as well as a lego castle - the old castles didn't really replicate the reality of an actual castle either (no keep for example). Could have a hand full of roman soldiers and some barbarians (maybe an opportunity for some fancy war paint) trying to get in. Smaller sets that add extra bits of fort, catapults, balistas. A litter with a senator in or something. Hmm, giving me some ideas. The main issue though is to stay away from a realistic recreation and remember that 99% of lego sets aren't like that - just give the impression of roman realism. 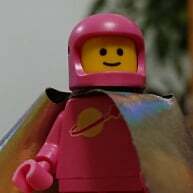 A roman or greek theme could easily be done, while keeping in mind that actually historical figures and events probably wouldn't exist, as they haven't occured in LEGO-history. Think of how the castles aren't actual medival castles, but rather a "childs version" of something similar to european history. I second that...Maximus: "My name is Gladiator". I would like to see a Roman theme. I think that this theme would offer so much opportunity for creativity as they invented so many things as well as conquering most of the known world. There's definitely a lot of scope for the use of various historical eras for themes, but for TLG to take to investing in a completely new theme based on a period of history I think there would need to be some sort of catalyst, which is hard to imagine happening without it becoming a licenced theme. I agree with a lot of you that Lego could make a theme based off of Ancient Rome, Egypt and Grecce, however the WWII theme is a little "controversial" with or without a "Hitler Figure". I do agree with Shib. No more pseudo-Victorian explorers killing mummies. Ancient Rome, Ancient Greece and Ancient Egypt because I would love to see that, those eras are very popular among fans and they would at least be used to educate children about the ancient world. In my personal opinion I think lego should make a new Vikings theme. Instead of having people vs monsters, why can't lego have people vs people. They do that when it comes to movie themes, but when it comes to non-listened themes it's always people vs monster/aliens/the undead. In his defense I don't think it was "small minded". As an experiment I asked several of my clients today "Tell me the first thing that comes to mind when I say World War..." Every single one of them said II. Then I said "What's the first thing you think of when someone mentions World War II?" Most if them said Hitler. One person said D-Day and another said Pearl Harbor. Granted this is in the US, so answers may bedepending on where you are. Most of my clients are millionaires and are definitely NOT small minded. I played with toy soldiers a lot as a kid (from Matchbox and Airfix mostly), based on WW2. German, British, American etc. Hitler never came into it. There was no Hitler toy figure, and I've never seen one in any WW2 model kit or soldier pack. It was a bit of a silly suggestion really. Having said that, I'd rather Lego didn't go down that road. There's plenty of other things they could do. Sets based on the ancient world are a good shout I think. At least she knows he's a bad guy. Not mentioning his name at all is a terrible thing. Lack of education = history repeats. If we are talking about events specifically at a point in time in history then I think this is something TLG will avoid. Everyone, and I mean everyone, has a different interpretation as to what "history" is and really means. I think it is difficult to exactly pin point enough to make a LEGO set, a scene from history that would both market and sell extremely well, or even mediocre. ^ ...if LEGO did do a roman theme they would find someway to right royally screw it up by adding a faction of talking animals who drive multicoloured jet powered sapceships powered by poo or something. When I was a child I know I would have found this the coolest idea for a LEGO theme ever! In fact I still think it's cool, let's get this on Cuusoo right away! Yep that's the challenge in making the history sets. Us from U. S. A. probably have a different interpretation of certain historical events as the Danish, the people that would probably be making the sets, because most Lego designer are Danish. And some historical events are important to some country that other country don't care or even know about. So selling internationally would be a challenge depending on what periods in history the sets were based off of.